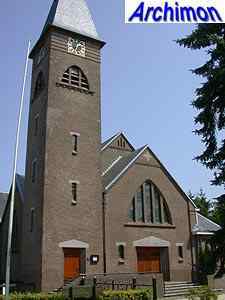 The former village of Munsterscheveld is a catholic enclave in protestant land that after the Second World War became part of Emmer-Compascuum. 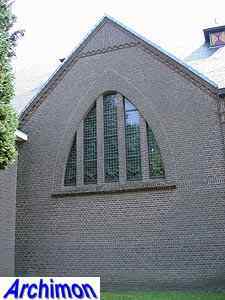 A catholic church had been built here shortly after 1889. 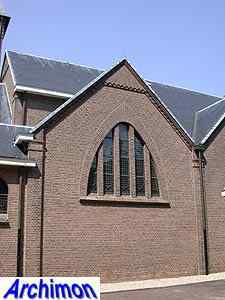 It was a small aisleless building in neo-Gothic style, designed by G. te Riele. 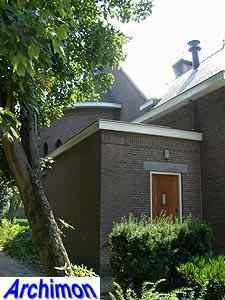 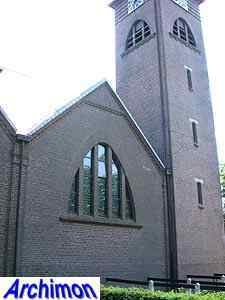 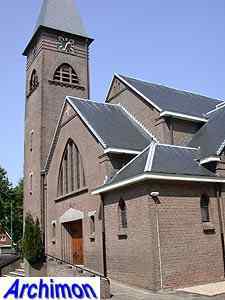 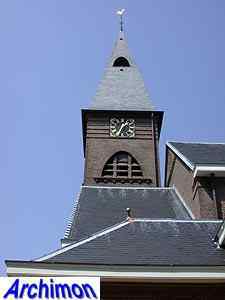 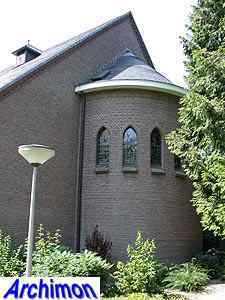 That church soon became too small for the growing parish, and already in 1923 the bishop of Utrecht approved its replacement. 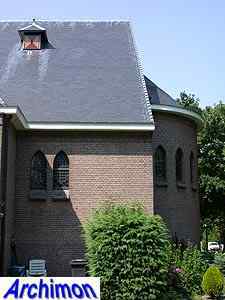 The current church is a big three-aisled cruciform church, designed by H. Kroes, an architect who often built in neo-Gothic style but, such as in this case, in a modern sort of neo-Romanesque style as well. 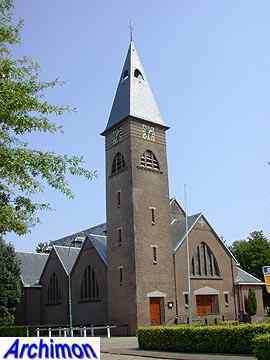 The St. Willehadus looks similar in style to some churches J. Stuyt designed in the same period. 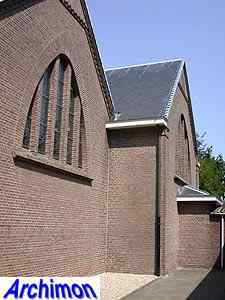 Especially the side-aisles with gables and seperate roofs are an element often found in Stuyt's work. 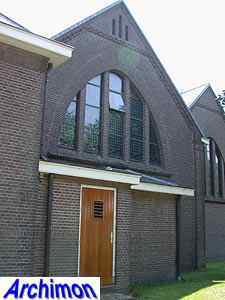 In both interior as the exterior the architect used parabola-shaped arches, an element much more common to Expressionism.